The ambitious Salmon Superhwy (yes, that is the correct spelling) fish passage program in Oregon is among the programs that will benefit from a recently announced funding boost from the U.S. Department of Agriculture. Trout Unlimited is one of a host of partners in the Salmon Superhwy project, the single biggest combined fish conservation/economic development partnership going on the Oregon Coast. The funding is part of $32 million awarded by the USDA’s Joint Chiefs’ Landscape Restoration Partnership through the Natural Resource Conservation Service and the U.S. Forest Service. According to the USDA the funding will benefit 10 new projects in fiscal year 2017, as well as supporting 26 partnership projects that are already under way. Federal, state and local partners will add an additional $30 million through financial and in-kind contributions over the next three years for the newly added projects. The Tillamook-Nestucca Salmon Superhwy project brings together all kinds of Oregonians – including farmers, loggers, anglers, scientists and conservationists – in an unprecedented partnership to restore access for six different species of fish to almost 180 miles of blocked habitat, and improve infrastructure and create jobs for local communities. The idea is simple: find the point at which conservation benefit per dollars invested is highest, and implement that set of strategic projects in an intensive and accelerated timeframe. 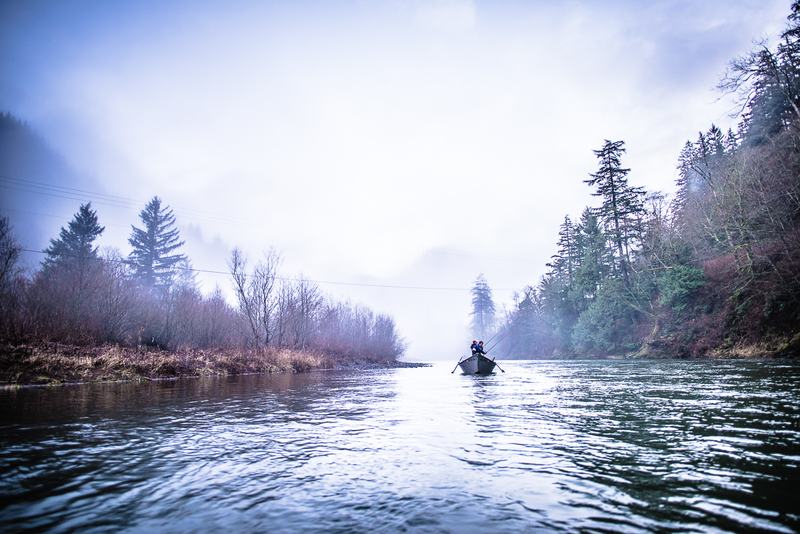 The Tillamook-Nestucca area of Oregon’s North Coast historically produced some of the most robust salmon and steelhead runs in the Pacific Northwest. 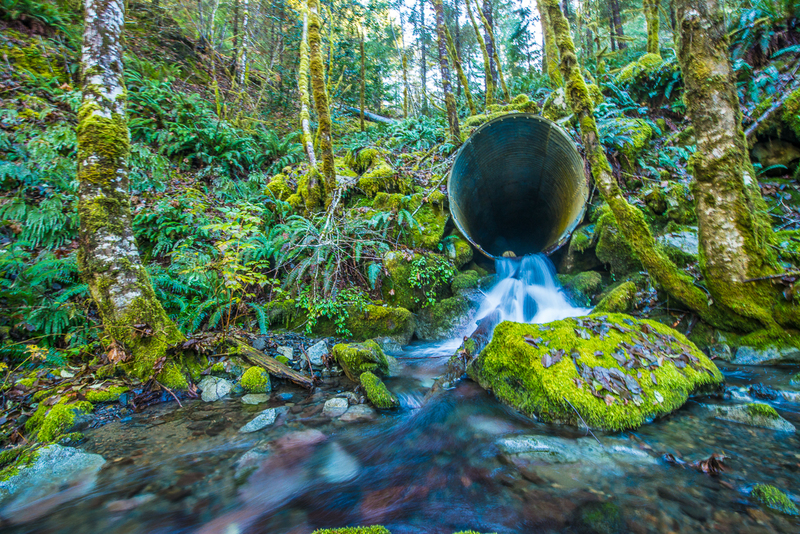 Today, more than 270 barriers (mostly culverts, above) collectively block salmon, steelhead and other migratory fish from using hundreds of miles of habitat, and cause chronic flooding, harmful erosion and other problems. To remove all the barriers would take an estimated $140 million and 70 years. But by strategically targeting a suite of projects that provides the highest return on investment, and effectively leveraging public and private funds, the Partnership can achieve most of the benefit at a fraction of the time and cost. Rather than trying to fix all remaining barriers, we will focus on the 93 that, when completed, will restore access for fish to over 95 percent of their available historical habitat throughout the six-river Tillamook-Nestucca landscape. Local partners in the effort are: Tillamook County, Tillamook Estuaries Partnership, Tillamook County Creamery Association, Tillamook Bay Watershed Council, Nestucca-Neskowin Watershed Council. State Partners are: the Oregon departments of Fish and Wildlife, Forestry and Transportation; the Oregon Watershed Enhancement Board; and the Oregon Fish Passage Task Force. Federal partners are the U.S. Fish & Wildlife Service, the U.S. Forest Service, the Bureau of Land Management and the Natural Resources Conservation Service. Trout Unlimited is the lead NGO in the partnership. Work involving TU in the East will also get a boost from Joint Chiefs funding. In West Virginia, TU and other partners working with USDA agencies will benefit from a $1.5 million award. The newly formed partnership is called the Appalachian Ecosystem Restoration Initiative and focuses on watershed restoration, brook trout conservation, upland forest restoration, wetland creation and abandoned mineland restoration. TU’s work will blend public lands restoration with private lands work to develop a destination fishery as a sustainable economic driver. Warren Colyer is the director of Trout Unlimited's Western Restoration Program.